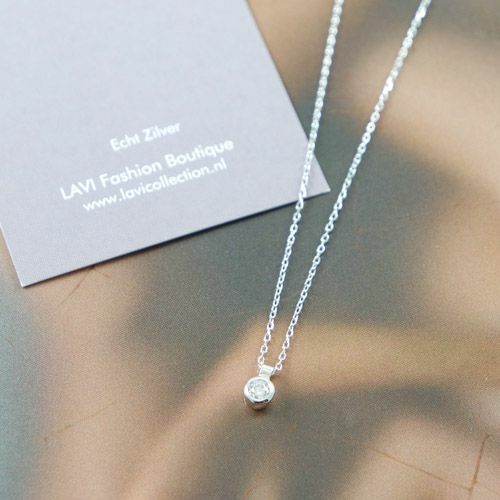 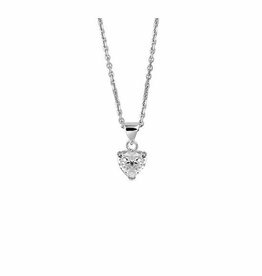 Rhodium plated Silver necklace with a playful Zirconia pendant. 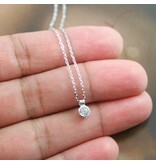 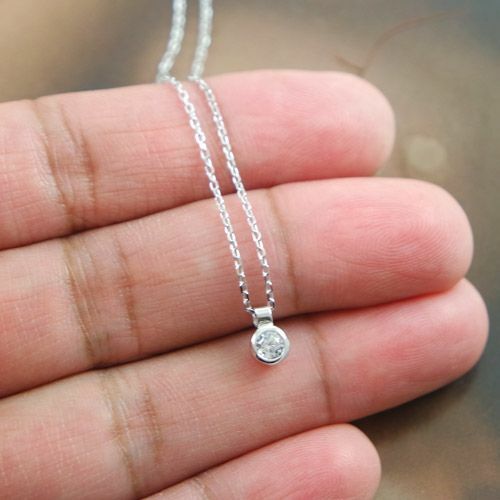 The length of the necklace is 40cm with 4cm extension. The link width is 1.1mm. 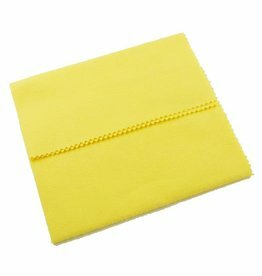 Specially prepared for polishing Silver objects. 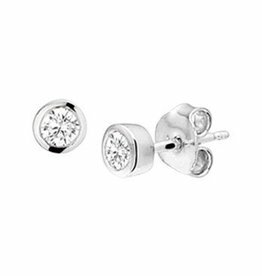 These fine zircon earstuds are set in 925 silver.